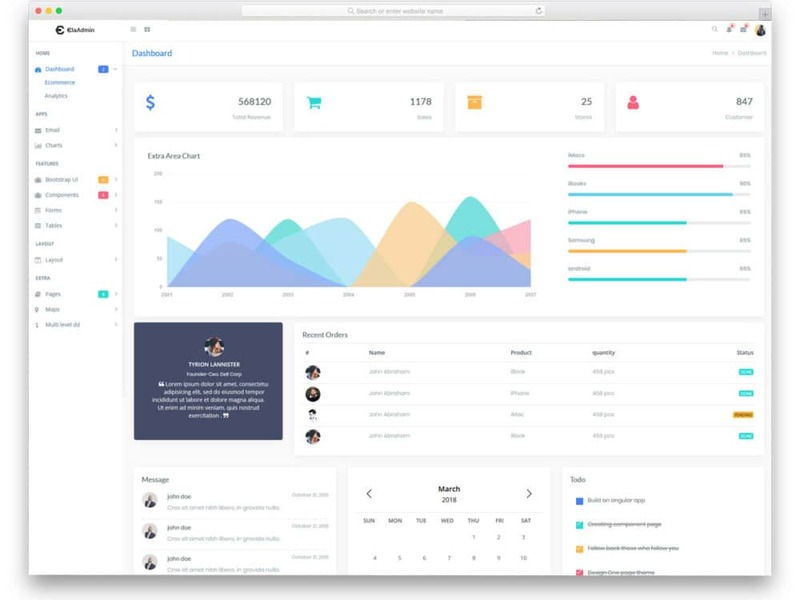 List of beautifully crafted admin templates for mobile and web applications. 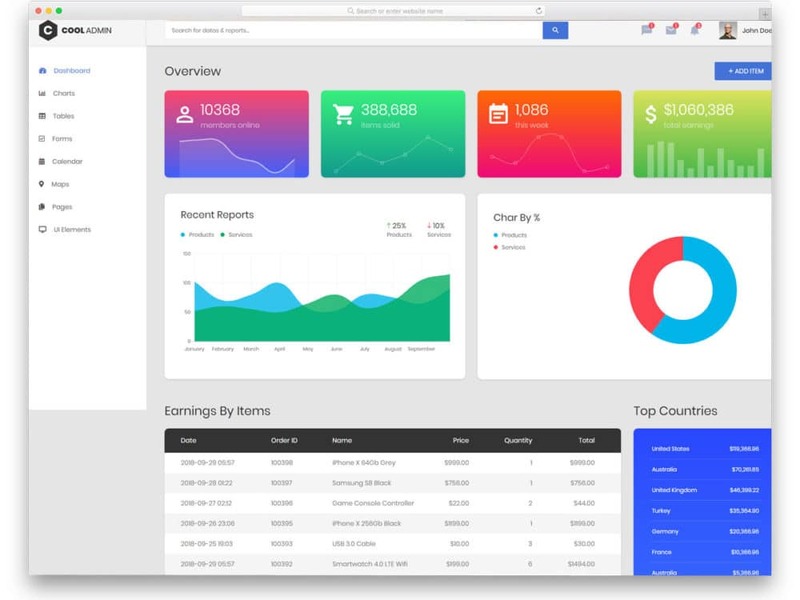 We have managed to collect not only the best looking dashboards but also the dashboards with better functionalities. 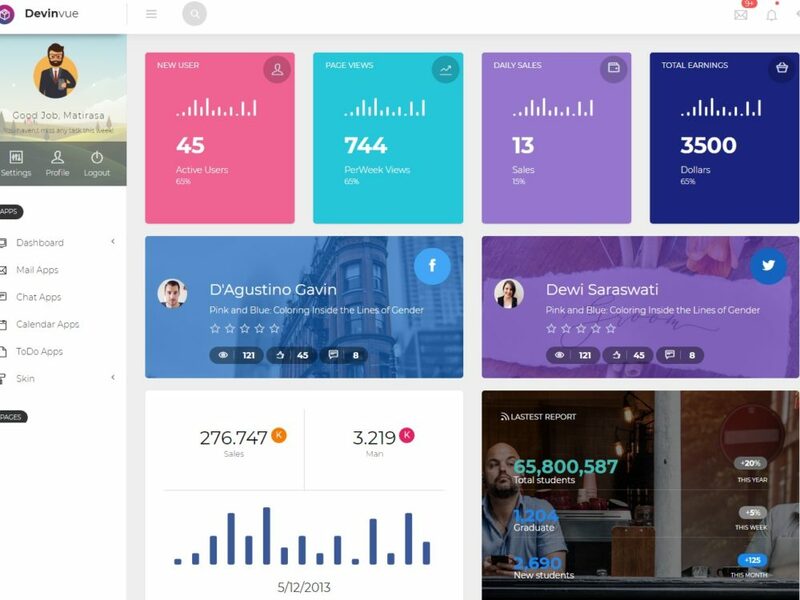 Whether you are looking for ultra-modern chic looking dashboards or simple minimal dashboard design with better functionalities, there is a design for you in this list. As most of the basic functions and elements like charts, widgets, graphs and lot more are pre-designed for you, it saves most of your time. 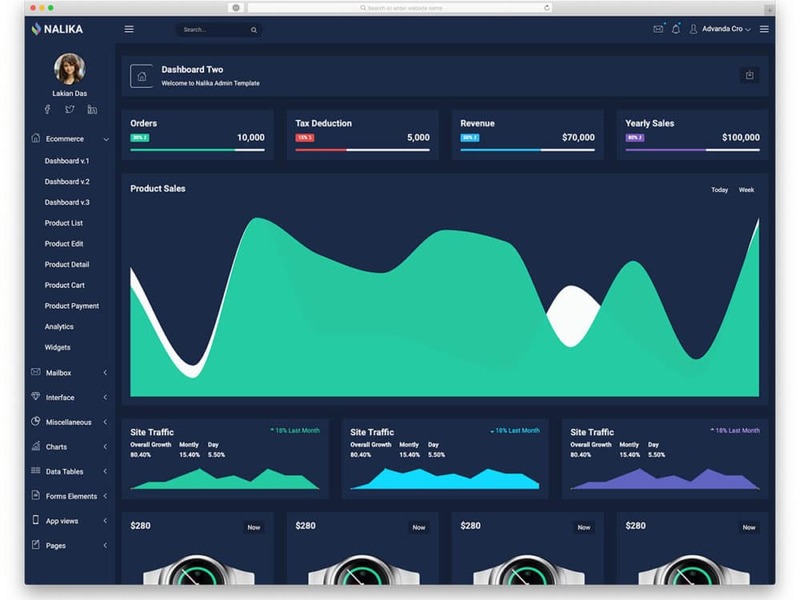 Plus, the dashboards are made using the latest HTML5, CSS3, Bootstrap 4, VueJs, and ReactJS frameworks. Meaning, you get the latest functionalities and easier customizations. 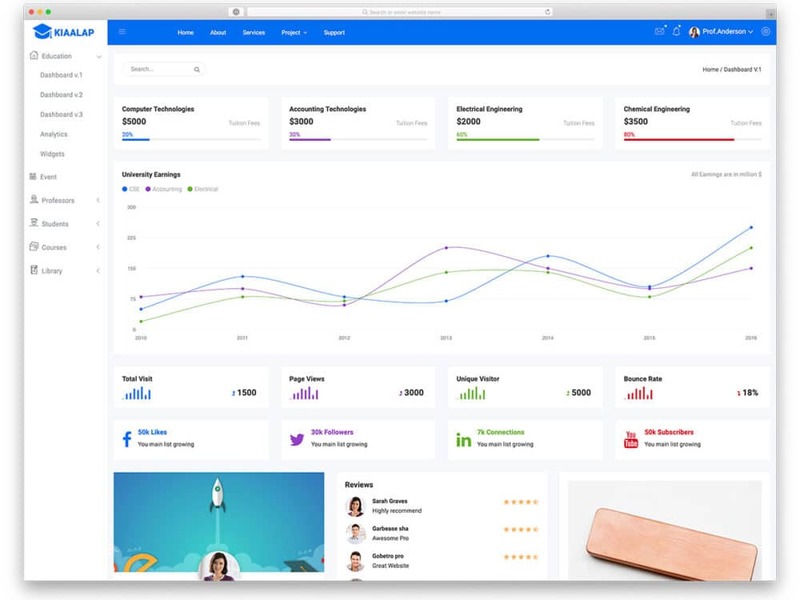 We periodically search for the latest and greatest admin templates throughout the web so that you can get the best of the best designs in one place. 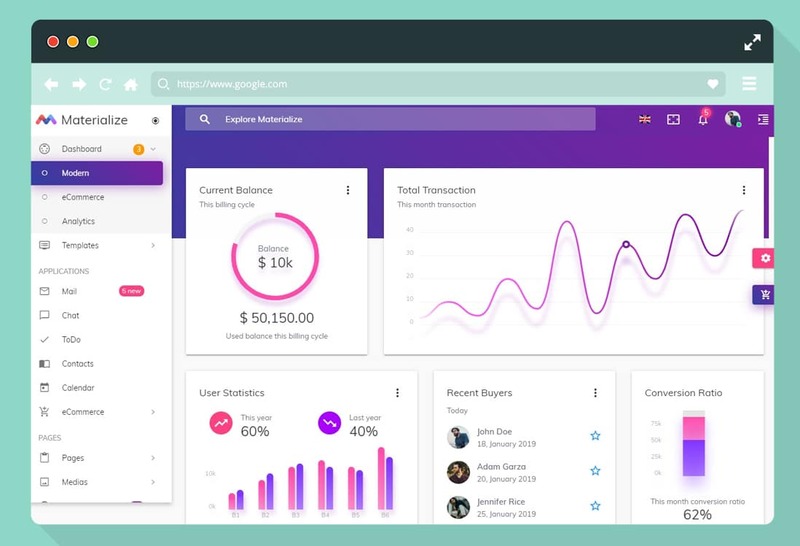 With these admin templates, you can manage data, monitor your user activities, can improve your productivity and always can meet your demands. 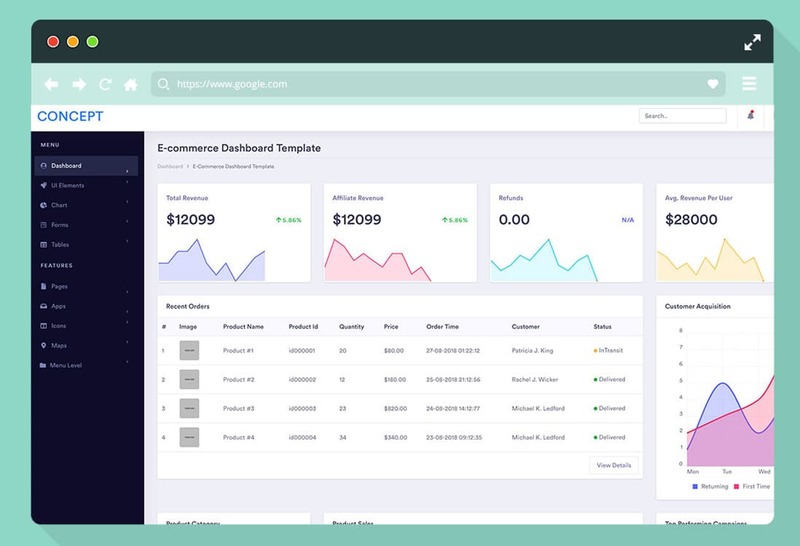 Bootstrap admin templates are high on demand in the market. They are easy to use and all the basic web standards will be taken care of by the template creator….